This rain proof performance test device from all directions to ensure the workpiece (buses, cars, trucks, etc) water spray, avoid water spray blind Angle and rainfall blank area, and ensure the pressure of spray water to meet requirements. 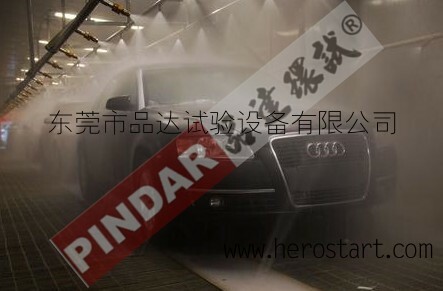 Through the test of the whole machine to ensure that the rain proof sealing performance and quality. The test contents: the front of the vehicle, hind, about two, the top, bottom, water test.